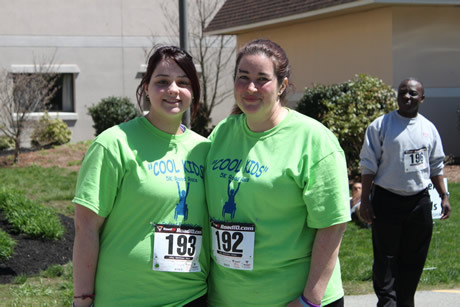 For the past 18 years, staffers, family members and residents from New England Pediatric Care in North Billerica MA have been running, walking or riding in strollers in the annual Cool Kids 5K Road Race. “The race brings residents, families and staffers together and raises money to support recreational activities that are so important to residents of the nursing home,” said Ellen O’Gorman, NEPC Executive Director. 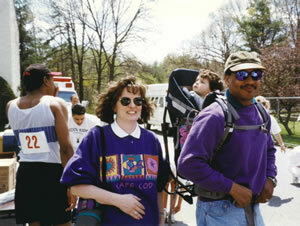 NEPC resident Becky L.’s family has been pushing her in the race for many years. This year Becky’s brother David Taber Jr., cousin Nicholas Smith and family friend David Flores ran. Dozens of employees participated again this year, among them were first time runners nurse April Champa and her daughter Kaylee. Fifteen-year old Courtney Hawkins is a Cool Kids veteran. 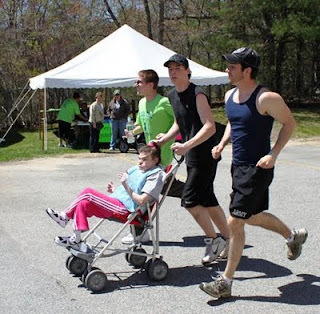 Her Dad Brian carried her on his back before she could walk; then she graduated to a stroller and has walked or run in almost every race ever since. Now a track and cross country runner for her Milford NH high school, Courtney came in first three out of the past four Road Races. This year’s field of 112 was the biggest yet; Courtney was the first female finisher. ‘“I do it because I enjoy racing, but mainly because I want to help the kids at New England Pedi,” Courtney said. Her mom, NEPC Director of Rehabilitation Nancy Hawkins, says she walks because she sees a direct benefit to the residents she works with. The proceeds supplement grants for field trips, and help pay for the cost of medical support for those outings. For more information visit www.nepc.org. Sue Crossley helps families understand the community housing options now available to develop-mentally disabled adults under the “Rolland” initiative. She is one of 30 outreach coordinators for the Massachusetts Department of Developmental Services (DDS). Sue took on this position shortly after the courts gave state agencies a 2012 deadline to move 640 eligible residents from nursing homes to more appropriate housing in the community. This action was a follow up to the 1999 class action suit filed against the state on behalf of Loretta Rolland. That lawsuit challenged the state’s practice of “unnecessarily and inappropriately admitting and confining individuals with mental retardation and other developmental disabilities” in nursing facilities. Sue had worked for the benefit of disabled individuals for more than 30 years, including 8 years at the helm of a successful non-profit agency that helped people with disabilities to buy their own homes. She saw the job as a unique opportunity. 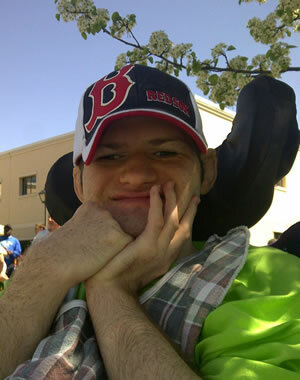 For more information about Rolland visit: http://rollandoutreach.org/index.php. Sue Crossley recently received DDS’s Individual Excellence Award for her outstanding work in facilitating the Rolland Family to Family initiative. What Does H.A.L.O.’s Support Mean To Families? Mikayla is our beautiful daughter. Born with brain damage, she is completely dependent on others for all her care. Unable even to hold up her head, she can not sit in a car and transferring to a specialized car seat would be most difficult, if not impossible, as she has grown older. We are most grateful to the HALO Foundation for the grant to help with the cost of our new rear-entry, wheelchair-accessible mini-van conversion. Our prior vehicle had over 175,000 miles, was over twelve years old and on its second transmission. Despite her disabilities, we have always strived to include Mikayla in our local community and schools, as well as all our family activities. Six years ago, her third-grade classmates wrote and illustrated a book about having friend with a disability. Our Friend Mikayla was published in late 2006 and has been read by and to children across the country. Inspired by the book’s success, the kids’ efforts and the importance of their message, we have founded Mikayla’s Voice. An acronym for the Voice Of Inclusion for Children Everywhere, we are a non-profit organization which inspires kids of all abilities to share the message of inclusion. Mikayla will likely never speak a word, but with the help of her friends she finally has a "voice." Together we travel across the state and beyond to share her story and the value and benefits of inclusion. Without our new handicapped accessible vehicle we would not be able to continue our efforts. We offer our heartfelt thanks to the HALO Foundation for your support of our daughter, her inclusion, and our efforts. A very grateful mother says the portable ramp H.A.L.O. gave to her family has made it possible for her son to leave his nursing home and spend every other weekend with them. Because the family home is inaccessible to wheelchair users, and Charlie, is now too large for his father to lift alone, the 27-year-old didn’t see much of his family for a while. Kathy couldn’t drive because she was wheelchair bound with rheumatoid arthritis until recently but she is now able to walk following knee replacements. Although Charlie is unable to speak or control his limbs, Kathy said he thrives in the wonderful environment at his nursing home, but she missed him terribly. “H.A.L.O.’s gift has been a blessing. Charlie gets to see my daughter and son, my mother and the grandchildren – everyone! We appreciate it so much,” she said. She thinks Charlie seems to appreciate the time they spend together, too. 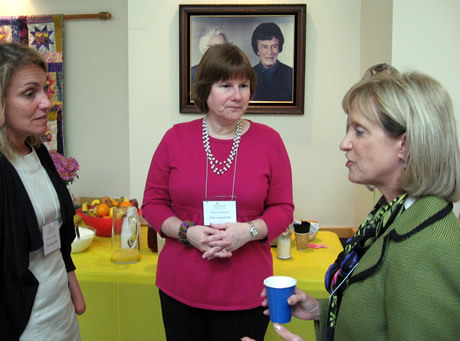 New Hampshire’s First Lady, Dr. Susan Lynch, (right) spoke about obesity prevention for children with develop-mental disabilities and mobility challenges at the Cedarcrest Center’s Annual Advisory Council breakfast in Keene, New Hampshire, recently. Also at the meeting were Dr. Geraldine Rubin (left) chair of pediatrics at Dartmouth-Hitchcock Keene, and Dr. Patricia Campbell (center), president of the New Hampshire Pediatric Society. Cedarcrest Center provides specialized medical care, education and therapies for children with complex medical and developmental needs. The 75-member Advisory Council links Cedarcrest Center to professional, business, and social communities across New Hampshire. A new organization is being formed to advocate for excellence in the long term care of children with medically complex conditions. The Association of Providers for Children with Complex Medical Needs APCCMN will promote communication among facilities and care providers and advocate for sustained, cost effective long-term care. It will also represent the needs of professionals, the patients they serve and their families before government, regulatory and professional societies. 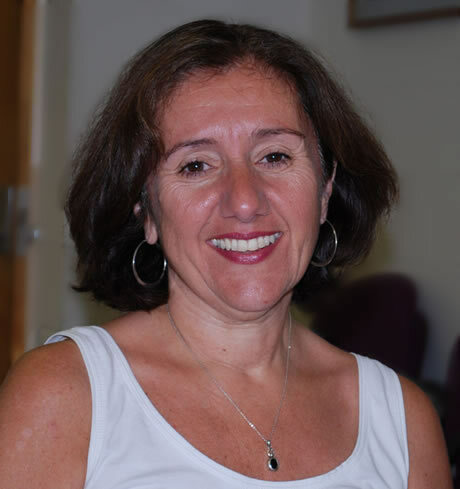 “The new organization gives us a structure for sharing information and greater credibility and visibility in advocating for the children we care for,” said Ellen O’Gorman, director of New England Pediatric Care in N. Billerica MA. APCCMN is an outgrowth of the Building Bridges Network, whose founder, Sister Katherine Smith, Ph.D., R.N. of Portland OR. was honored at the “Navigating the Care of the Medically Fragile Child” conference in April. More than 150 providers and professionals who work with 5,000 medically fragile children at 125 pediatric residential care facilities across the U.S. and Canada attended.